This post is the third in a multipart series exploring the basics of serverless. Check back each Monday for additional installments. Serverless promises to take out much of the heavy-lifting associated with IT maintenance and operations, so that a third party does more of the admin work relating to server maintenance, compared to what an organization would otherwise have to do for container orchestrations and microservices platforms. Using serverless platforms saves resources by, in part, allowing an organization to use a pay-as-you-use model for the use of servers. There are also wrong and right ways to migrate to serverless resources. Here are a few things to keep in mind before making the leap. Team members on DevOps who may have heard about serverless and want to explore what it might offer their organization if they migrate to the platform, may at first be put off by how much confusion exists about what serverless really means. 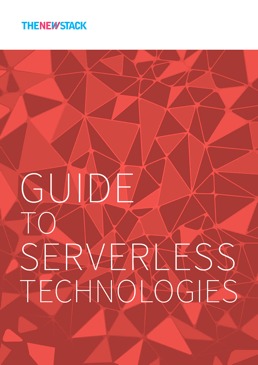 As its name does not imply, for example, “serverless” applications actually run on servers. The above definition describes serverless offerings a number of vendors provide, including Lambda by Amazon Web Services (AWS), which is very widely used and offers both BaaS and FaaS services. Other serverless offerings include Cloud Functions (Google), IronWorker (Iron.io), Manta Functions (Joyent), OpenWhisk (IBM), PubNub BLOCKS (PubNub) and Serverless Docker (Docker). Much of the beauty of serverless lies in its being able to allow organizations to save resources by being able to outsource the server and associated infrastructure management tasks to a third party, as mentioned above. A developer team, for example, thus does its work creating apps, while the serverless provider does all the data maintenance work on the server offsite. “Serverless’ ease of use can improve developer efficiency initially since serverless computing abstracts developers further away from dealing with infrastructure so they can focus almost exclusively on building code for single functions,”Albert Qian, product marketing manager for the Cloud Academy, said. However, by handing over server management to a third party, your organization also relinquishes considerable control — a key consideration when mulling if and when to migrate to serverless. While challenging, applying analytics software to serverless deployments is still viable. In the case of exception handling in serverless functions, for example, if it is possible to wrap the function in a try-catch and then send an https API request, for example, then an error reporting client, such as the one Raygun offers, can be used. However, with an API-based service, monitoring control is almost certainly lost, while the “next-best option is to observe how that API behaves,” Scott said. Like monitoring and analytics, securing your data on a serverless infrastructure can be challenging, given the obvious implications associated with relinquishing server management and control to a third party. Serverless runtime environments, for example, are not standardized and are “tinted by the cloud in which they running, which makes it more difficult to secure them generically,” Rani Osnat, vice president of marketing for Aqua Security, said. “For serverless, I’d say there are several key security issues,” Osnat said. Certain security checks are especially critical when making the migration. Potentially vulnerable code used in serverless functions, for example, “needs to be addressed before it is used,” while enforcement controls to block deployment of FaaS functions that violate policy must also be used, Osnat said. While challenging as mentioned above, organizations need to make sure the serverless platforms they adopt monitor data behavior in runtime in order to detect anomalies,” Osnat said.